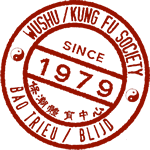 Besides the traditional Kung Fu-style Hung Gar, at Wushu Society Bao Trieu / Blijd you can also train modern Wushu. If you prefer competition fighting: at Bao Trieu you can practice both semi-contact (all-style) sparring and Chinese full-contact Sanda / Sanshou. We also teach self defence, boxing, thaiboxing and taiji. 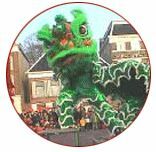 The demoteam of Bao Trieu / Blijd is internationally reknown for its spectacular shows and performance, including traditional Chinese Lion Dances and Dragon Dances. Bao Trieu also regularly teaches special workshops and courses, e.g. to educational institutions, to businesses or to people with a (physical) limitation. Bao Trieu / Blijd has a strong cultural and social involvement. We are a multi-cultural society where around twenty different nationalities from all social backgrounds train together in an open and relaxed manner. 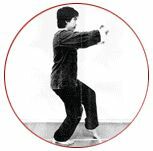 Bao Trieu has been established in 1979 by sifu Trieu Trung La. 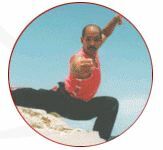 Since 1984, Bao Trieu's principal trainer is Earl Blijd, also known as 'the Panther of Curacao'. Earl is a very experienced trainer, and is able to motivate pupils on any level of martial arts experience in a personal way. Since the majority of Bao Trieu / Blijd's members is Dutch speaking, we decided to make Dutch the main language of our website. Unfortunately, we don't have the resources to translate all our content. Our apologies for that! or have a look at our old website (which was in English). You're always welcome to come by and join us for a free trial lesson (check our time table), though we'd appreciate it if you'd let us know beforehand that you're planning to come. And if you have a question or would like more information, please don't hesitate to get in touch!